For those who studied permaculture, the vocabulary of guilds, polyculture and function stacking will be familiar. The innovation here is in the framing. It’s a film I could imagine showing my conservative relatives who are farming on land that has been in the family for four generations. However, it’s not just the earthy vocabulary that this film teaches. 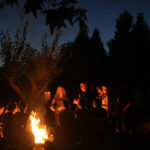 It also teases out foundational contrasts: permaculture orchestrates relationships between plants and animals rather than trying to control them all in the way that industrial agriculture often does. Yet it’s also a pragmatic film. There’s a scene a little way into the movie that might be jarring for purists. Falk is building a swale in his land. He explains in detail how this “structural adjustment” shapes the landscape in a healthier way. Then we watch him carving up the earth with big yellow backhoe. Falk says that he’s decided we should use the oil while it’s cheap to build up ecological wealth in the landscape “until the ice comes back.” It’s a phrase that captures well the long view that the practitioners in this film have. For those of us who were part of the 2011-2012 World & World mentoring program (http://www.wordandworld.org/2011-ndash-2012-mentoring-program.html), there will be some familiar scenes. The film visits the center for Environment Transformation which hosted one of the retreats for Word and World. It was inspiring for me to see some of the same scenes I photographed that weekend many years on in their transformation. Like this burnt out factory. We hear from Louis Sanchez, a farmer from the neighborhood who is involved in the Center. The power of the film doesn’t stop with the interviews. The soundtrack, by Aled Roberts is effervescent. You can listens to samples of it here. It effortlessly melds with the visuals. As photographer I continuously in awe of the golden hour lighting and beautifully short depth of field. Every other scene looks like a Pre-Raphaelite portrait. 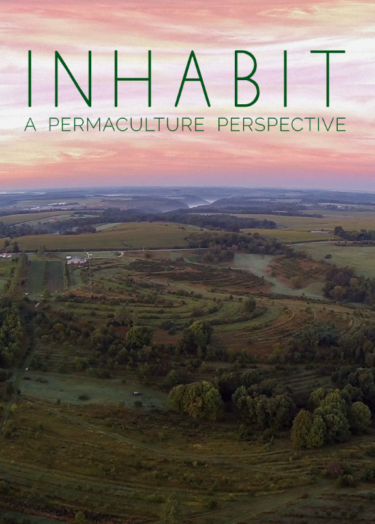 The film also implicitly critiques some of the problems in the culture of permaculture. Emmett Brennan, Assistant Director & Producer of the film, was at the screening I attended here in the Ojai valley. He emphasized that permaculture has often invisiblized the contributions of women and people of color in the movement. It’s clear that the film makers intentionally reached outside the circle of famous white men who are often most visible in the permaculture movement. The film is available to stream on-line here. But don’t watch it buy yourself. Get a group together and talk about it afterwards. Ask the question: what can we learn from this film as we think about how we evangelize for radical discipleship?